See our range of beautiful spring footwear for women here, including lightweight leather sandals, ballerina pumps, canvas sneakers, cork wedges, and dressy heels. Our ladies spring shoes come in a range of beautiful seasonal colors to really pep up your spring outfits. Choose metallics for a slice of everyday glam, or keep it color pop with blues, reds and pinks. Or if neutrals are more your style, choose from classic tan, black or sandy colors for a touch of spring elegance. The spring season is the ideal time to refresh your wardrobe, particularly when it comes to new spring shoes. 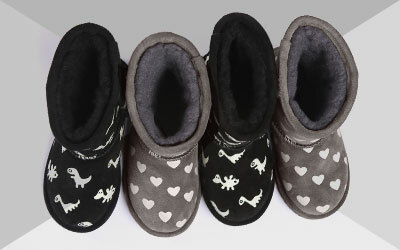 At EMU Australia, we don’t just have you covered for winter with our 100% real Australian sheepskin boots, we also offer beautiful and stylish spring shoes in classic and seasonal colors and styles. Opt for canvas sneakers, ideal for walking and other outdoor activities in warmer weather, or cute and comfy open leather sandals for the beach. Sandals from our balance range are ideal for traveling and spring and summer holidays, as they easily slip on and off, so they’re great for airports and planes. Our EMU Australia suede heels in natural colors like sand and tan are a pretty and trendy option for a dressy night out or party. Fringe detailing gives a nod to boho summer trends and adds a luxury edge. Espadrilles are the perfect transitional shoe to ease into spring, and our Gum espadrille features a durable rubber outsole, so they’re comfy, cute and practical, and also come in prints and plains. We also have summer boots, featuring perforated nubuck and leather detailing, for a trendy and fashion forward look. As with all of our EMU Australia shoes and boots, when designing and producing our spring range we always use the finest quality materials, whether it’s leather, canvas, nubuck or microsuede. We always have your comfort at the forefront of our designs, and we ensure to use only natural and breathable materials. Our Australian materials are natural and durable, making a pair of EMU Australia spring shoes a perfect investment that will last for years to come. Our soles are flexible and anatomically designed to flex with the movement of your feet for the ultimate in comfort. Some of our soles, such as our Cactus lightweight microsuede sneaker, have a memory foam footbed for superior comfort.